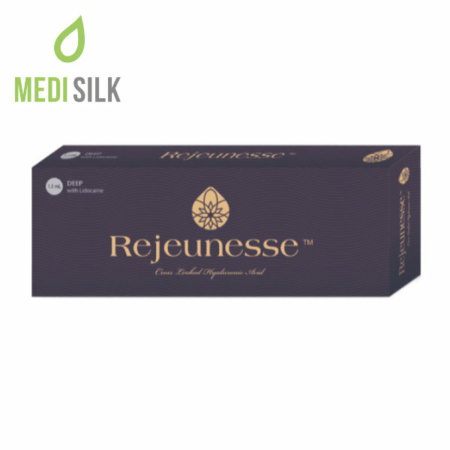 Rejeunesse Deep offers a fast and long-lasting facial contouring and deep fold removal treatment that is safe, free of pain but effective. 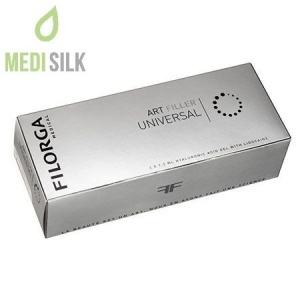 Created with the latest production technologies, this is one superb dermal filler that can be applied to different parts of the face to fill medium-to-deep creases in a non-surgical way. Its cross-linked hyaluronic acid molecules can give any aging face the support it needs to look more youthful. Using such a health-friendly dermal filler comes with many advantages – reduced risk of unwanted reactions, greater durability, and biocompatibility. A box of Rejeunesse Deep includes a 1ml single-use syringe and a 27G needle. 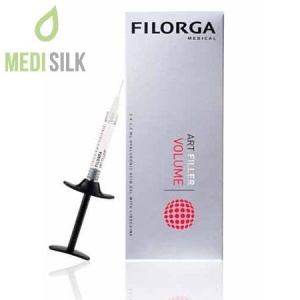 The syringe comes prefilled with the filler gel which, on the other hand, contains cross-linked HA with a concentration of 24mg/ml and 0.3% lidocaine. The average longevity of the effects achieved after a treatment with this product span between 12-18 months.